Web-Impac (a division of Hampton Bates Public Relations) is pleased to announce its partnership with Narrow Street Films to offer the newest in website video and film production for businesses needing a clever way to stand out from the competition. “Website videos are an excellent way to bring visitors to your website through improved search engine optimization, which brings focus to your message in multiple ways (visually, audibly, and so on) and lively videos gets visitors interested in spending more time on your site. This means they are spending more time exposed to your products and services—encouraging them to buy,” says Eric Robinson. In addition to offering videos production and first impression software, Web-Impac provides a variety of website business intelligence and voter software applications for growing businesses. Many of the applications can be purchased off-the-shelf or through our custom packages. Our proprietary software measures what a customers’ think about your website, product or service and the results are captured in real-time which can be key to product improvement and maintaining market share. How we measure customer response and gather information is unique and different than any other software company. 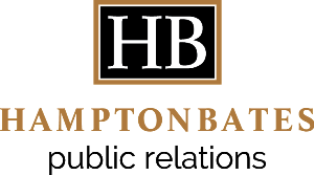 Hampton Bates PR is the premier full-service PR and marketing firm serving corporations, nonprofit organizations and celebrity superstars. HB owns the software company Web-Impac and a joint venture partnership with Narrow Street Films.